Trying to change our school name after entering the wrong title for the school in "settings." I went back and changed the name in settings. 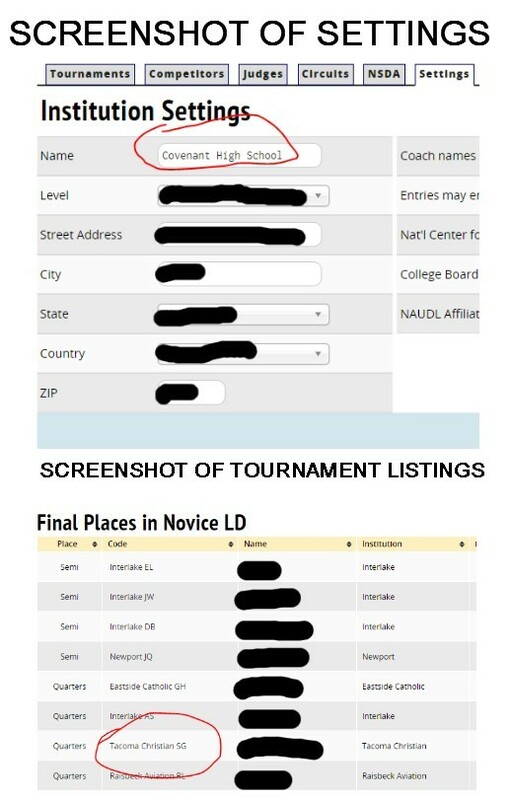 When I look at settings, it tells me that the name has been changed, but we are still being registered with the old name at tournaments and I see the old name still listed in postings. What do I do?